Psychopaths. We are bombarded with fictional versions of them. They fascinate us, as exotic creatures, and hence they regularly feature in crime novels, Hollywood movies, and TV series. As a result, we understand implicitly who and what constitutes a psychopath. Right? Hannibal Lecter, Dexter Morgan, and Norman Bates of Psycho fame all help us understand the heinous nature of the beast. Don’t they? Well, actually, no they don’t. Out of the three fictional characters mentioned above, only Lecter, in The Silence of the Lambs (1991), could accurately be described as a psychopath in the clinical sense. Even then, Hollywood created a rather ridiculous scene in the 2001 sequel Hannibal, demonstrating behavior that would be highly unlikely for a genuine psychopath: he cuts off his own hand to escape, rather than that of his FBI nemesis Clarice Starling. In fact, this is not just unlikely, but bordering on the impossible for a clinical psychopath such as Thomas Harris’ brilliant creation, the man-eater, Hannibal Lecter. 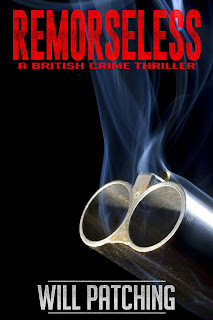 It was this Hollywood treatment of psychopathic behaviors that led me to create Peter Leech, the villain in my most recent novel, Remorseless: A British Crime Thriller. My own research into psychopathy began soon after I had the misfortune to invite such a person into my life, stupidly and naïvely, even sharing my home with him. His constant manipulation of others, his repeated lying, the superficial charm combined with surreptitious backstabbing, all applied with a complete absence of conscience, were hallmarks I would only later come to recognize as characteristics of a psychopath. In reality, most psychopaths are like the guy I met. Normal. At least, outwardly. Alfred Hitchcock’s Bates is not a psychopath, but a psychotic individual. He’s crazy, hallucinating to such a degree that his dead mother’s character “takes over” his physical being. At least Dexter is not crazy … just ridiculous. Entertaining too, but, according to Dr. Hare, Dexter’s portrayal of a psychopath with a conscience is an impossibility. Hollywood-style mythology strikes again. The problem has to do with audience empathy, and the desire to create characters with at least one redeeming feature so that we are not completely repelled. Hannibal, so infatuated with Starling that he chops off his own hand. Dexter, a psychopath with an oxymoronic conscience. Sure, we are talking entertainment, not education, but for Remorseless I wanted to create something that reflected reality, as I believe people need to understand these creatures. So I set out to write a novel that did both—entertain and aid understanding. To do that, I had to break the rules as they usually apply to novels—that is, if the author wants to get a publishing house interested in a potential best-seller. My villain, Leech, has no redeeming features: he is a clinical psychopath through and through. That makes him difficult for readers to empathize with, which is bad enough given the amount of time we spend with him, but I also deliberately delved deeply into the workings of his mind by making him a significant point-of-view character. Not only is he a truly nasty piece of work, a serial-killing convict with a brutal disposition and a violent temper, but we share a lot of time with him and, understandably, some readers find this disturbing. For others, it’s rather like being strapped into a roller-coaster, scared and horrified while experiencing a perfectly safe, yet thrilling ride. The theme of the novel is guilt. In contrast to Leech—our criminal psychopath who cannot, by definition, experience remorse—we have our protagonist, Dr Colin Powers, a forensic psychiatrist suffering hideously from guilt for his role in the death of his wife. Doc’s ability to perform his job is endangered by his state of mind, with hallucinations threatening to overwhelm him. He finds himself on the parole board assessing Leech’s fitness for release, and that scene is central to the story, with our protagonist, burdened by an overabundance of guilt, as a clear counterpoint to our villain, who experiences none. All the major characters in the novel demonstrate how guilt, or lack thereof, affects behavior, and for me, this was the most interesting aspect of the tale. A guilty conscience is uncomfortable for the average person, and the prospect alone is enough to moderate our behavior toward others. It acts as a brake on our selfishness, while our empathy for others’ suffering also helps prevent us from undertaking anti-social behaviors. If you have no conscience, you suffer no guilt, and if you have little empathy, you can be as anti-social as you want—overtly or surreptitiously, just as a true psychopath would be. Remorseless was described by one reviewer (for Goodreads) as being part psychological suspense, part murder mystery, and part out-and-out thriller. The psychological aspect really appeals to me, but I also love a good detective yarn and always demand some thrills, so I suppose the mix of genres was inevitable. My fascination with psychopaths does not stop at writing about fictional characters. 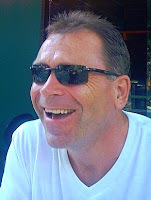 My Web site Psychopaths—Fact & Fiction is designed as a resource to help people understand the true nature and extent to which these individuals damage society. Although Peter Leech is a violent criminal, most psychopaths exist in plain sight, mingling with the rest of us “normal beings” who do suffer guilt. Hare estimates that as many as 1 percent of the general population have psychopathic traits to a clinically significant level. So, who are they, these myriad psychos? It is estimated that as many as a quarter of all violent criminals are actually clinically identifiable as psychopaths. Like my character Leech, they are clearly dangerous individuals whose paths you would not want to cross, and as such they fascinate us all, generating billions of words in books and many hours of big- and small-screen portrayals. The reality is, they are minor players in a much bigger game, and their misdeeds deflect us from the true peril, the socialized psychos who march us to unnecessary wars for profit, or poison our water supplies through incompetence and corruption, or knowingly crash the world economy, bringing misery to millions, in return for the comfort of a private jet. This facet of their existence is tangentially explored in Remorseless and will feature to a much greater degree in that novel’s sequel, Mutilated, due to be published later this year. Multiple Personality Disorder and Going Psycho! During a three-month period toward the end of 2015, I spent some time as a psychopath. Not a real one, of course, just my own creation: Leech. Remorseless has just been launched as an audiobook with yours truly as narrator. My approach to that project was not standard, as I tried to voice the characters as they sound in my head. Some audiophiles prefer a straightforward narration; others won’t enjoy this disturbing tale, littered with profanity and strewn with violence, so you have been warned! I had a great deal of fun bringing more than 30 fictitious people to life, ranging from my seen-it-all-before detective to a down-beaten prostitute. The character I found most enjoyable as an alter-ego, rather worryingly, was my rendition of Leech. It seems I have some deep psychological affinity with my own imaginary psychopath—I spent a lot of time “in character,” wandering around my house, yelling obscenities at inanimate objects, threatening to kill all and sundry. My wife was, understandably, a little perturbed. She began to wonder whether I was not only suffering from multiple-personality disorder, but might be a little psycho myself. I’ll leave you, dear reader, to decide on that conundrum.